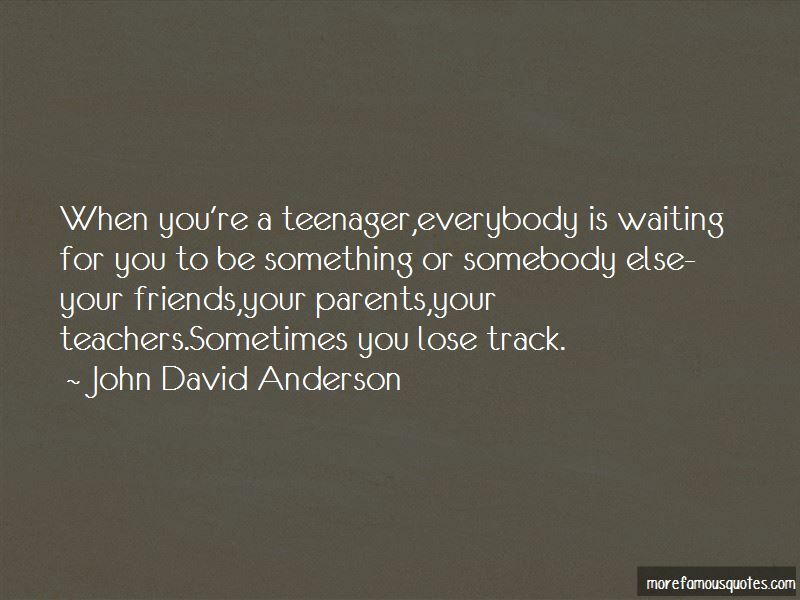 Enjoy the top 6 famous quotes, sayings and quotations by John David Anderson. That's Jenna. She's one of those girls who talk just as much with her hands as with her mouth, which means between the three of them you don't get a word in. But she's a little restricted by the thick steel cuffs around her wrists, so right now she is just wriggling her fingers. Vigorously. “I haven't tried anything like this since the accident." "I believe in you," I say. I mostly do. "I'm just saying that there's a very small but not statistically insignificant chance that this care could explode." 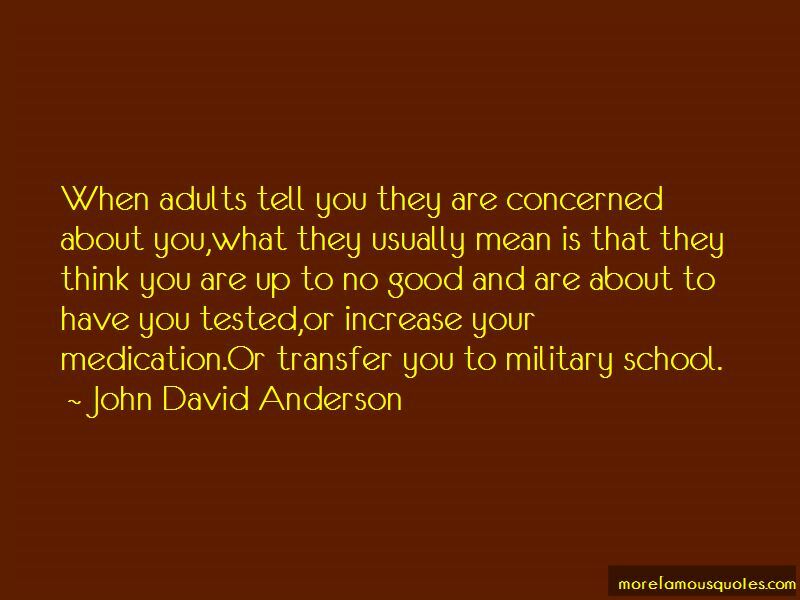 When adults tell you they are concerned about you,what they usually mean is that they think you are up to no good and are about to have you tested,or increase your medication.Or transfer you to military school. That's my life approach to most of life most of the time:to ignore it.I have to in order to stay sane.Until something like this happens,and I realize what I've gotten myself into. 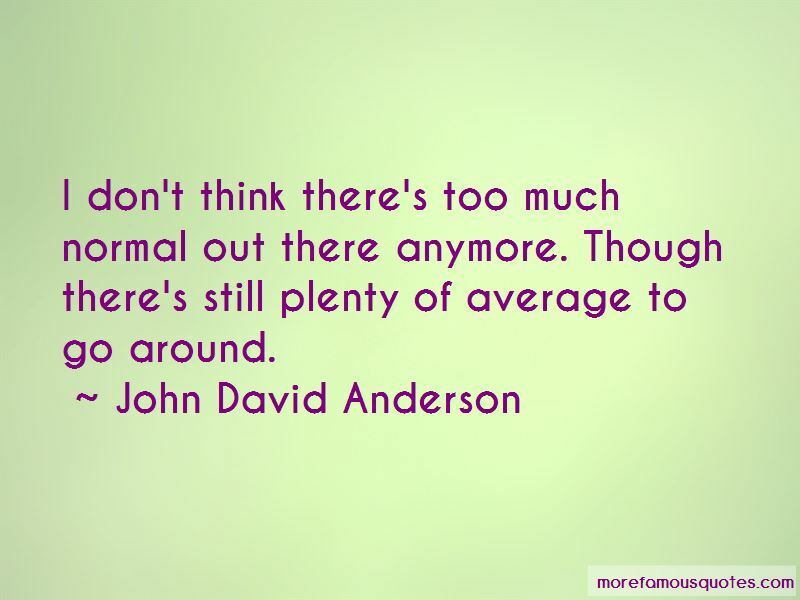 Want to see more pictures of John David Anderson quotes? 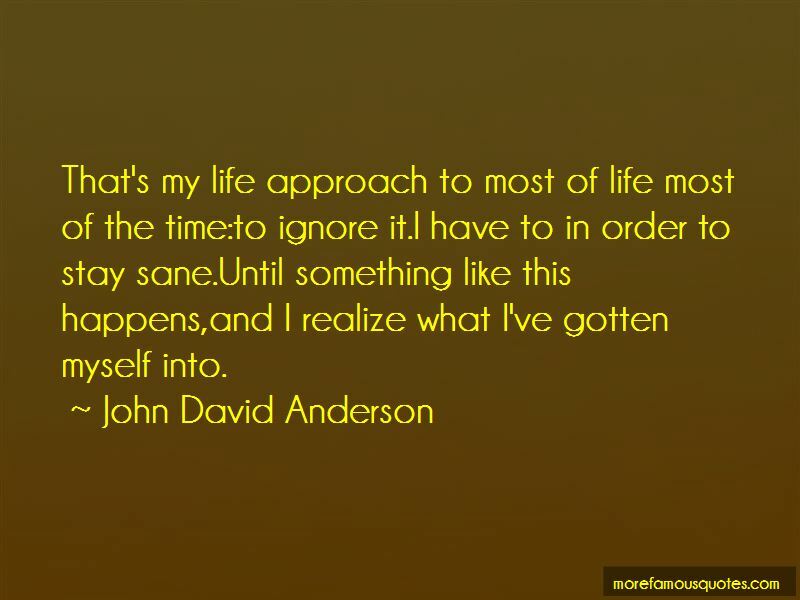 Click on image of John David Anderson quotes to view full size.